ItemL.21940 - Port Moody, B.C. ItemL.21941 - Port Moody, B.C. 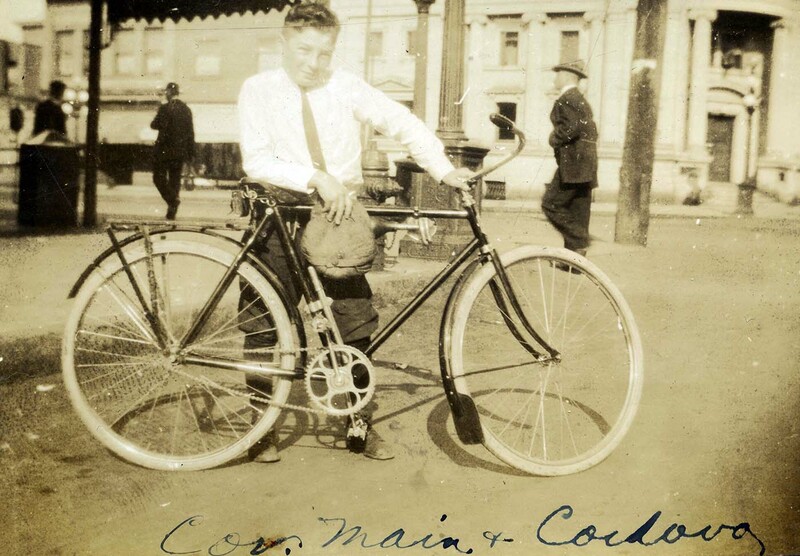 1 photograph: b&w print: 3" x 2"
B&W print depicts a young Irving Snider posing beside his bike in front of the Bank of Montreal at the corner of Main and Cordova Street. "Cor. Main & Cordova" is written at the bottom of the image.